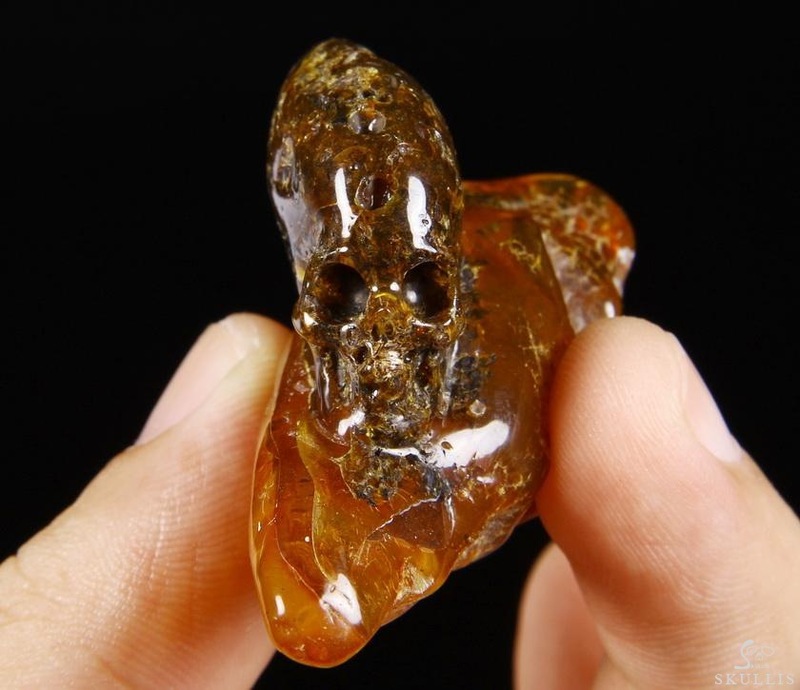 You are looking at a Baltic Amber skull. 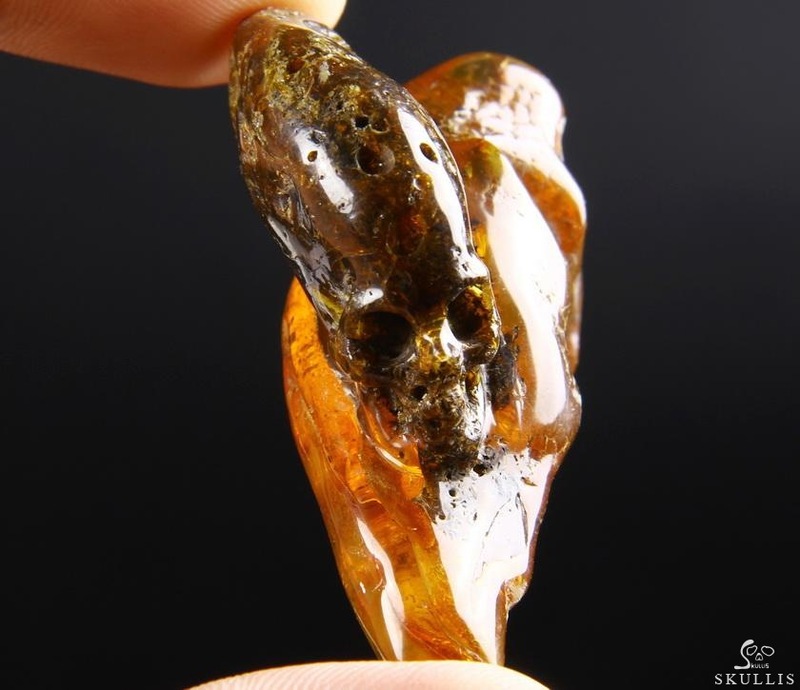 The skull is 2.2 inches long from front to back. 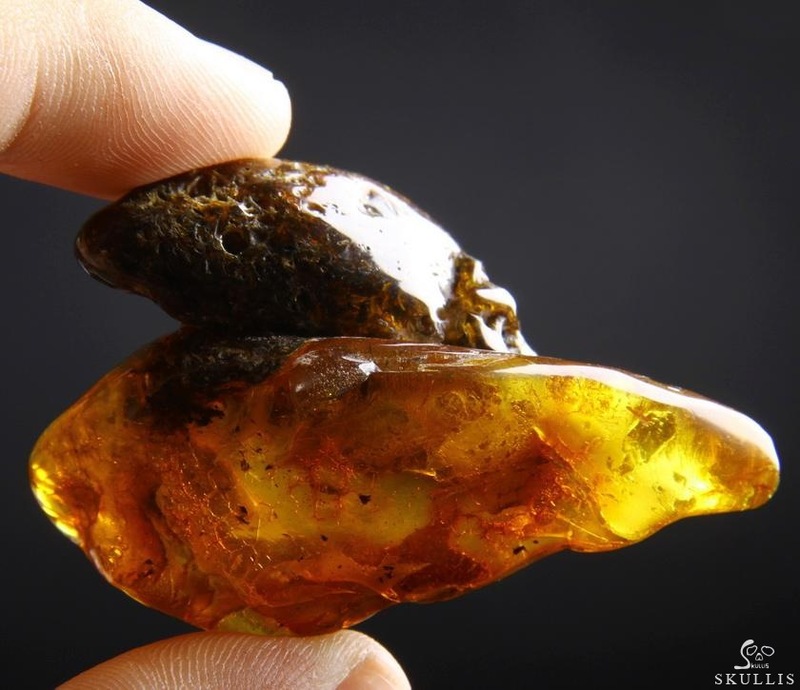 Amber has electromagnetic properties. 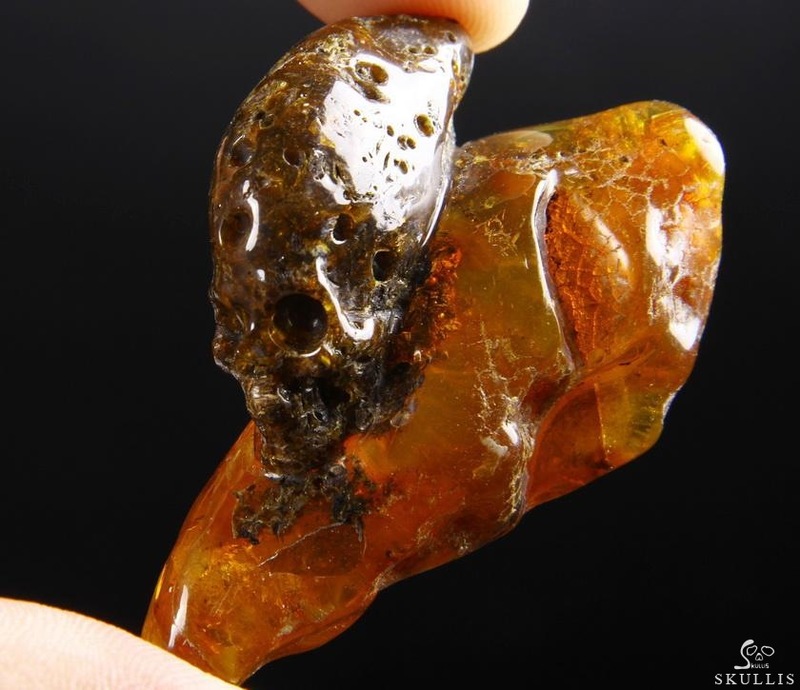 Rubbing a piece of amber with a cloth, will build up an electric charge that makes it attract small items such as wood shavings, paper and straw. 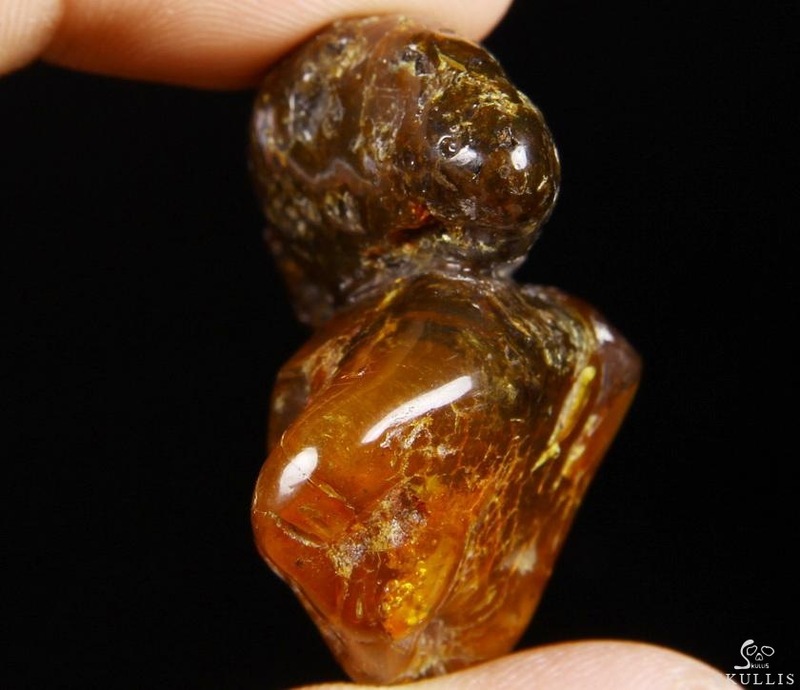 It is excellent at detoxification and protection from radiation, especially x-rays, sun, computers, airport, planes and other people's energies. 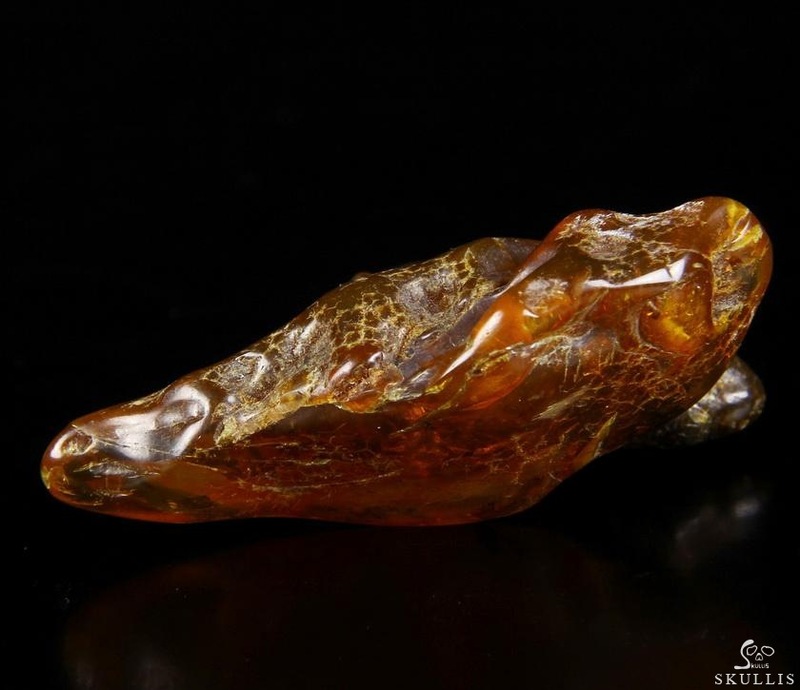 Due to its strong connection to nature and the earth, amber is a great stone for grounding our higher energies. 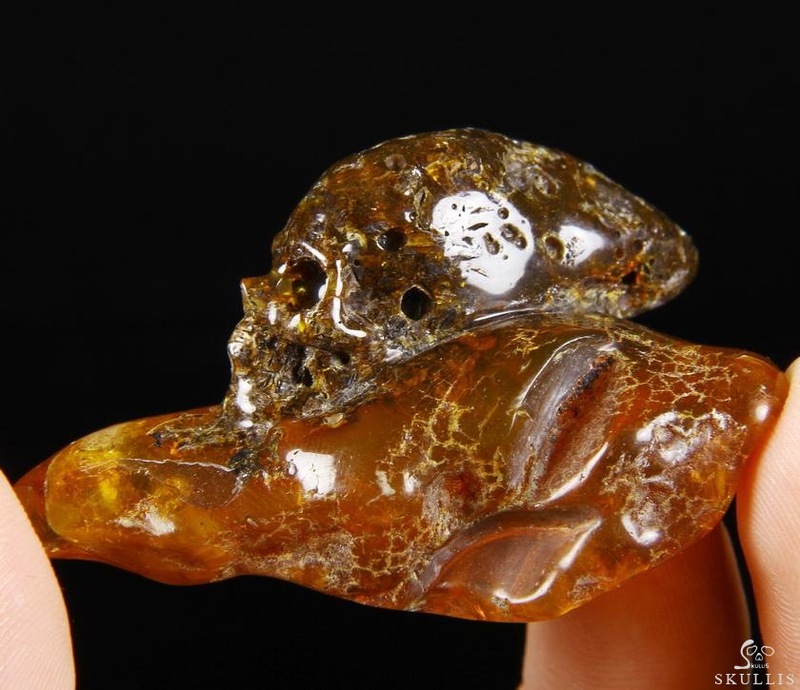 Amber can add stability to your life. 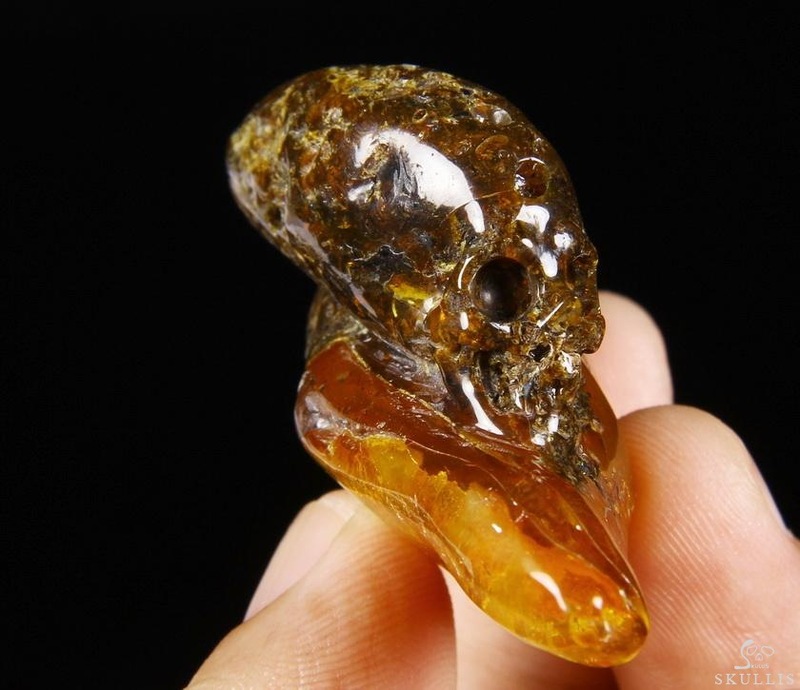 Helpful in clearing up depression and suicidal thoughts therefore, bringing about a positive mental state. 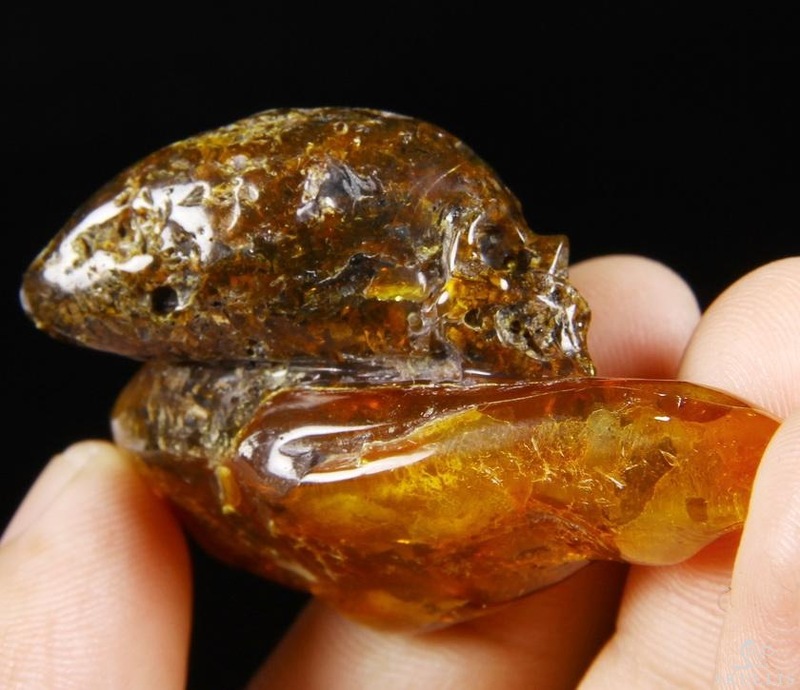 Also useful as a memory aid, which makes it a good stone for studying. 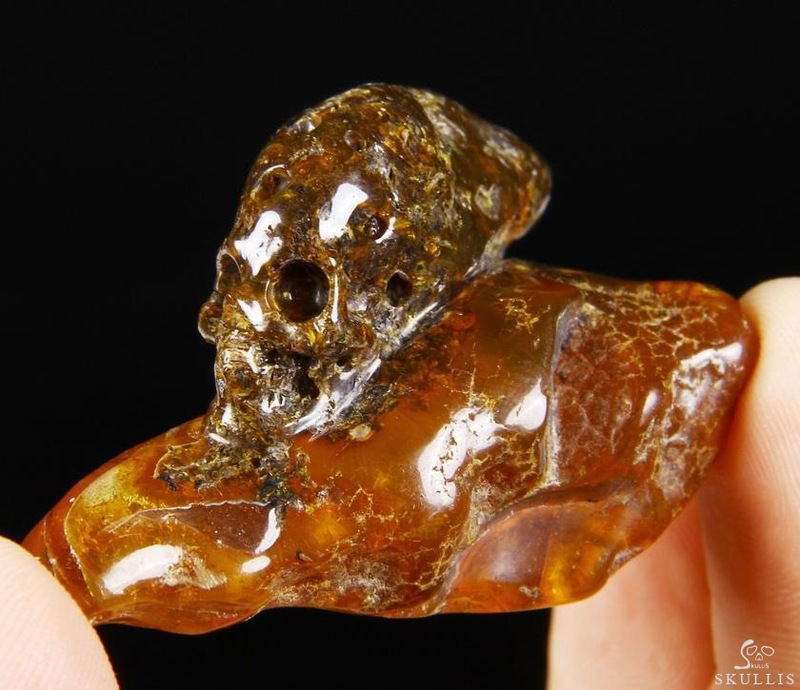 Amber is used for past life work, divination and scrying. 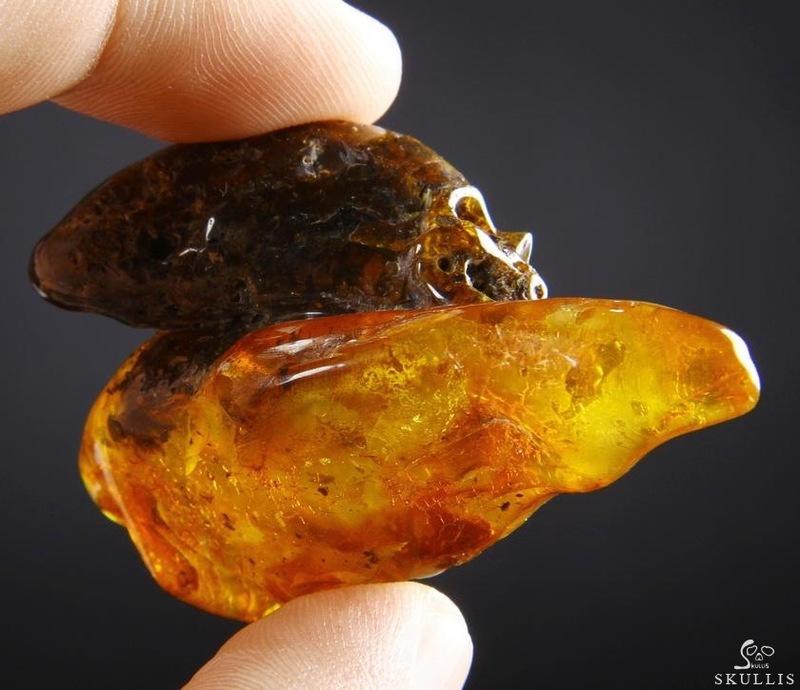 It aligns mental and emotional bodies via its deep orange and yellow color..